Philip Ives Dunne was a Hollywood screenwriter, film director and producer, who worked prolifically from 1932 until 1965. He spent the majority of his career at 20th Century Fox crafting well regarded romantic and historical dramas, usually adapted from another medium. Dunne was a leading Screen Writers Guild organizer and was politically active during the "Hollywood Blacklist" episode of the 1940s-1950s. 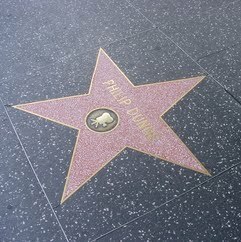 He is best known for the films How Green Was My Valley, The Ghost and Mrs. Muir, The Robe and The Agony and the Ecstasy.